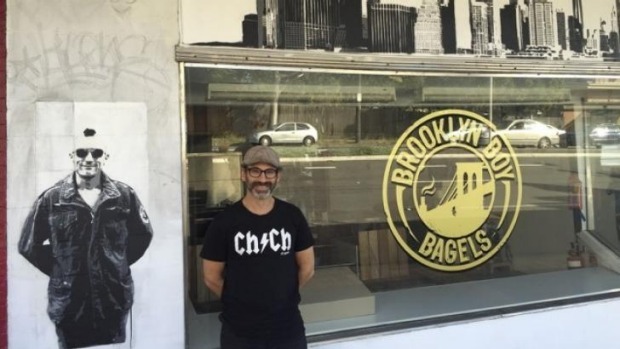 Brooklyn Boy Bagels has a well-deserved following around Sydney markets; from next week BBB will have its own bakery and cafe. Located at 448 Bunnerong Road, Matraville, owner Michael Shafran​ is bringing a little Brooklyn Heights cool to the neighbourhood. Artist Matt Branagan's​ portrait of Biggie Smalls looms large, as does Robert De Niro circa Taxi Driver, and a 1940s US cash register. But it's the food they'll come for [presumably not the six seats], and Shafran promises a gluten-free bagel on top of the current bagel range. "We'll also have our New York deli rye, Jewish challah bread, our three types of babka, and fresh New York pushcart pretzels," Shafran says.